We’ll cover the benefits of having your own website and some of the things to watch out for. By the end you will have an understanding of how your website can generate leads for you, and also the basics of site security. Online, your website is a public face and can be thought as a salesperson working 24/7 for you. Your website is one area that people are increasingly using to judge your business. As such, it is worthwhile investing money into its appearance and ease of use. Having your own site is very affordable now, and also easy to set up – if you choose one of the hosts that has a wizard option usually you just answer some questions and fill in business information to create a reasonable website that they host for you. Beyond that if you are looking for an advanced solution I recommend WordPress, as it’s fairly easy to pick up but also gives you a huge number of customisation options. The first thing to consider about a website is the actual domain name. Whilst some people may advocate a long name full of keywords, you have to consider the possible loss of business from potential clients who either can’t remember your address or who can’t be bothered to type it in. You might even find some competitors set up a site that has a slight misspelling of your own to catch people. Back in 2012 I undertook a research project looking over 1,500 different websites for small businesses. The site has gone – if people find you through a directory or search and then go to your website only to find an empty error page they are likely to assume that you have gone out of business. Perhaps you have a new website, but it may be worth keeping the old one as a redirect to the new site. Personal details missing – the purpose of many websites is to generate enquiries for the business. If this is the goal, then it should be made easy for people to know who you are. If you just have a business name with no personal details, you are less likely to receive enquiries – people do business with people. No genuine location – I have noticed some sites not actually telling you where they are located. For a limited company it is a legal requirement that the registered address is shown on the website, as well as the other contact details, yet some sites don’t tell you anywhere where they are located. Some other sites have started posting vague statements about areas they cover – that might bring them search results, but when local people are looking to do business with a local company they are going to be less than impressed that they are based maybe 100 miles away but ‘cover’ the area. Poor email address or contact options – You also want to make it easy for people to reach you, by whatever method they prefer, whether that is by email or telephone or via a social network. 1) Whether it is made easy for people to contact the company – complicated forms with large numbers of compulsory boxes will drive clients away. 2) The actual email address. It is very affordable to have a personal email, rather than a free account. When people are contacting the business, if they see that they only have a free email address it will affect their impression of the business. 3) Ensuring that the email address is a valid one – if people receive a bounced email error after taking the time to write you a message, they are unlikely to return. 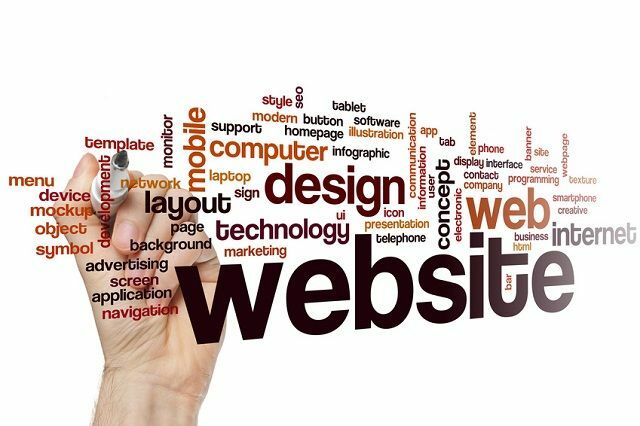 These are several of the points to consider, which are all simple and low-cost options to increase the business generated from a website. Depending on how the website content management system is structured, they should be able to be changed in minutes rather than hours. If you are networking online then your website becomes your online business card, as it is likely that people will look at it to see who you are. One thing I recommend is always hosting content on your own site, rather than on others. There have been cases where people have put a lot of content on someone else’s site and the site has been sold, affecting access to the content. Or there can be a change in the sites terms and conditions so they close your area overnight, wiping out your content and hard work you had put in building up traffic. You are also free with your own site to decide how your content is displayed, rather than having to fit in with the requirements of another site. You can still post content on other sites, but always keep core content on your own site. When you are working on your website content, it’s important to remember that, in the UK, online claims are now covered by the Advertising Standards Authority so any claims that you post have to be within their guidelines. When choosing hosting you will often be offered several packages. Generally, the more you pay the faster your website, so it is worth reviewing the options to see which one suits you best. Some packages include the basic website setup I mentioned, and others will offer support. On top of the hosting you will also benefit from many free sites that review your own and offer solutions to increase the performance for visitors. This is an important area, as for backups of your own data your website has data too. It is your responsibility to back it up, rather than the hosting company. Depending on the host and software you will usually have an option to back up the site to a compressed file that can be stored elsewhere. Remember if you are using WordPress that the site and the database are separate areas so will require two separate backups. If you are using WordPress for your site, you will find that there are regular updates issued to patch any security holes or bugs. It is important to run these as soon as possible so that any vulnerabilities are not exploited. Your website will have a password to log in to the management side – I would recommend using a long password so that it cannot be accessed maliciously. A long password (perhaps 40 characters or more) with a mixture of upper and lowercase as well as non-alpha-numerical characters will increase the security. There are several free services that will monitor your site 24/7 and report if it is unavailable by email (you would be wise to use a separate email account from your main host for this), so that you can then check on the situation. This is handy as you can then contact your host and see if the fault lies with them or with your website.